Produced by: Music in Common, Inc. 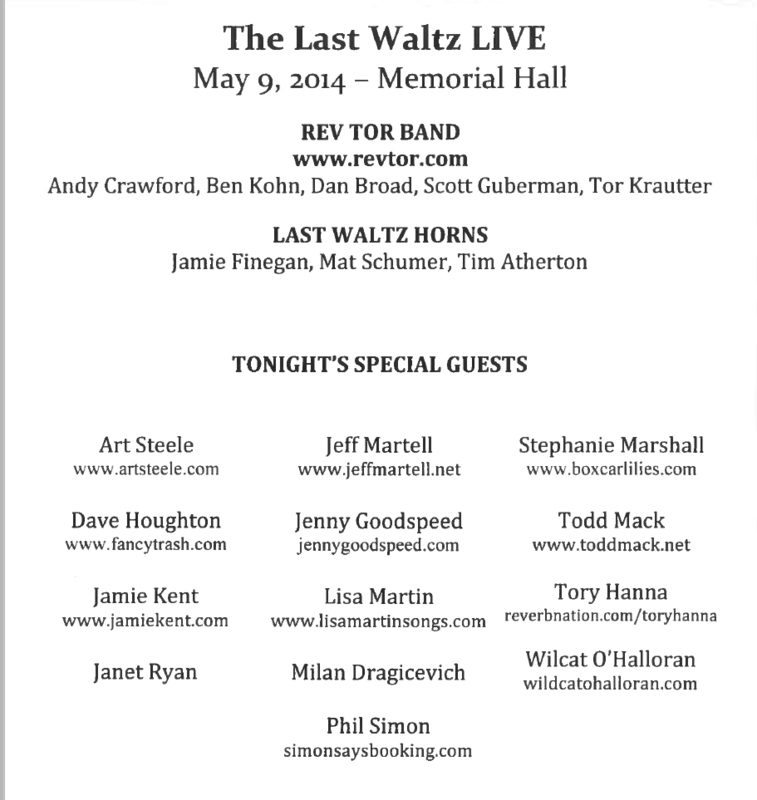 The Last Waltz Live is a professional touring musical/theatrical recreation of THE BAND's classic final concert (captured in a now cult-status film, The Last Waltz, by director Martin Scorcese in 1978), featuring nationally recognized musicians. For this event, I performed the Prologue—in Middle English dialect—to Geoffrey Chaucer’s The Canterbury Tales, part of the original concert program. The Western Massachusetts leg of the national tour took place at the historic Shelburne Falls Memorial Hall.